The Dreamboys are back! Hotter than ever with a brand-new show for 2019. Get ready everybody! The Dreamboys return to Bradford with a breathtaking show, perfectly created for hen nights, birthday parties and a great night out with friends. The UK's most famous and successful act of its kind, The Dreamboys have made special guest appearances on some of the UK's biggest TV shows such as The X Factor, Britain's Got Talent, Celebrity Big Brother, Loose Women, This Morning, Geordie Shore and The Only Way Is Essex, and enjoyed massive sold out worldwide tours. 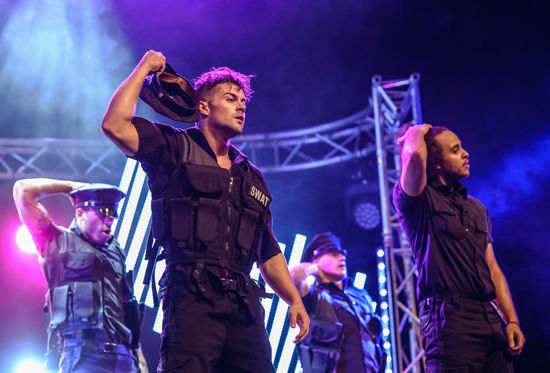 An action packed two-hour show, these boys will have you begging for more - so If you're looking for the very best night out, look no further than these incredible hunks.